Administration Building #1, Pikesville Armory. Photo from Maryland Historical Trust. 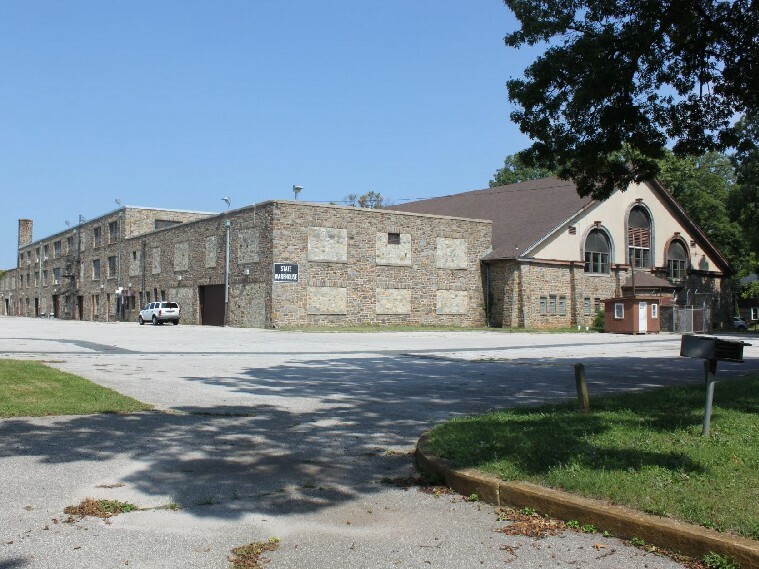 The Armory property is located in Pikesville, an area in the Western Sector of Baltimore County. Pikesville, with a stretch of businesses along the Reisterstown Road commercial corridor, is one of 14 Commercial Revitalization Districts in Baltimore County. Built in 1903 by the prestigious Baltimore architectural firm of Wyatt and Nolting, the Pikesville Armory was part of the National Guard’s 20th Century reorganization and expansion. 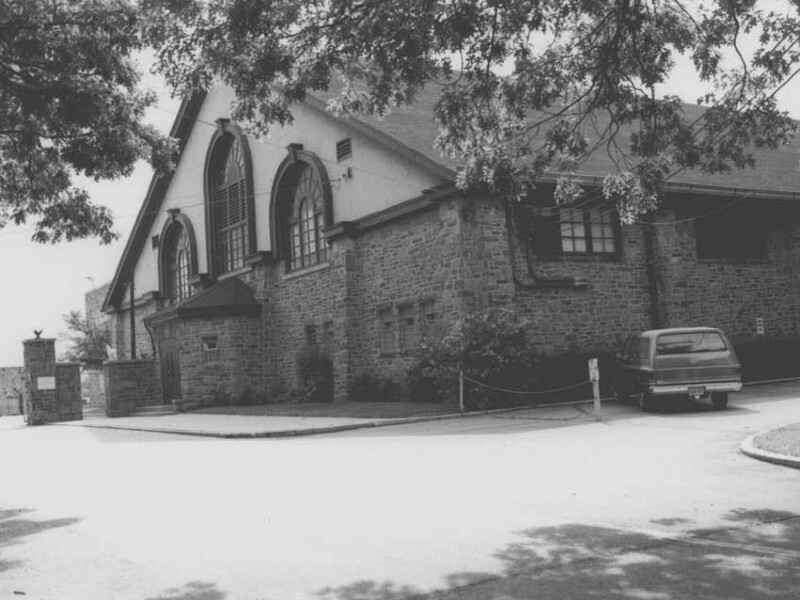 Pikesville Armory, 1980. Photo from Maryland Historical Trust. Current photo of Pikesville Armory. Photo from Maryland Historical Trust. The Pikesville Armory has played a significant role as a social center for the Pikesville Community. 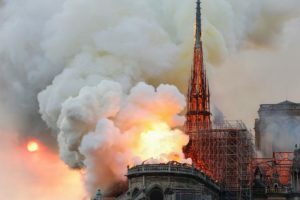 Over the years, it has served as a meeting place for political functions; hosting such individuals as Lyndon Johnson, Harry Truman, and John F. Kennedy, to name a few. The Armory has also hosted community events, dances, celebrations, and organization meetings. It is the second oldest armory in the state of Maryland and was added to the National Register of Historic Places in 1985. 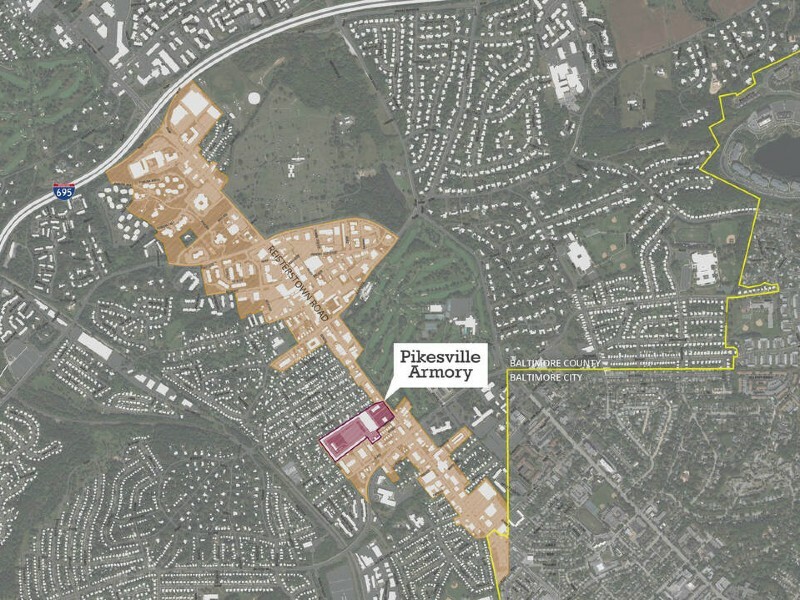 As part of the Baltimore County Master Plan 2010 effort, the Pikesville Revitalization Plan—originally published in 1991—was updated in 2003. 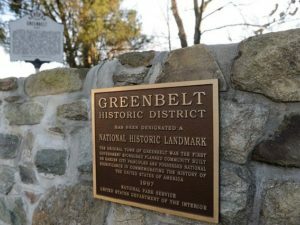 Currently, the Baltimore County Department of Planning has launched an initiative to study the Pikesville Commercial Revitalization District. The area is within the County’s Urban-Rural Demarcation Line (URDL). 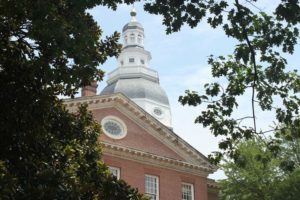 The Pikesville Armory is now the property of the State of Maryland who, in 2017, launched a commission to explore future uses for the Armory. A project team from Mahan Rykiel Associates, a landscape architecture, urban design, and planning firm, is organizing and facilitating a community visioning process to develop a menu of possibilities for the Armory. 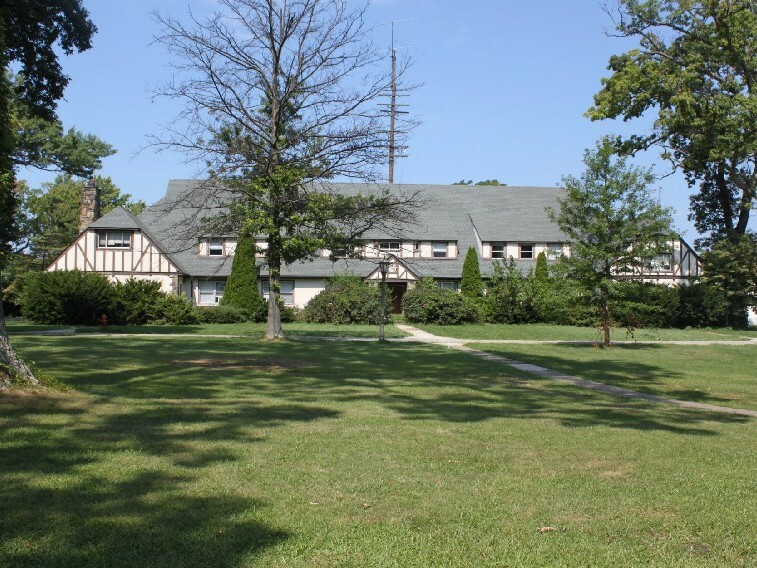 Because of its strategic location, open space resources, and significant facilities as an untapped communal anchor in Pikesville, the Armory can be revitalized to support broader growth, access to open space, recreation facilities, and arts—just to name a few—in the greater Pikesville community. In a future phase of work, the possibilities identified in the visioning process can inform the Armory’s ultimate redevelopment. The Commission, consultants, and the community together encourage the public to take the Pikesville Armory Vision Plan Public Opinion Survey. Through the survey, they hope to discover the ways people spend time within and outside the Pikesville Revitalization district, how community members prioritize various potential program elements, desires for the future use of the Pikesville Armory, and possible measures of success. The survey will close at 5PM on Monday, April 15, 2019.